This Emirates clash is a repeat of last season's third round tie in which Leeds very nearly caused one of the shocks of the round as they came away from the Emirates with a very creditable 1-1 draw. It could have been so much better for the Yorkshire side, though, as the Gunners had to rely on a controversial last-minute penalty from Cesc Fabregas to salvage the draw and set up a replay at Elland Road. Those looking at the FA Cup betting odds will know how tight the game was. As was predicted at the time, that was Leeds' best chance at beating Arsenal gone as Arsene Wenger's side ran out comfortable 3-1 winners in the replay but they get an unexpected chance to cause an upset again next month. At the time of last year's game, Arsenal were arguably in a better shape than they are now as they were well in contention at the top of the Premier League and playing some fantastic football to boot. This year, Wenger's side have recovered after a poor start but are off the pace in the title race with a top-four finish looking like the best they can hope for this term. Fans of Betfair football should remember this. However, they should still have far too much in this one for an inconsistent Leeds side, who remain very much in the play-off hunt but look unlikely to challenge for automatic promotion. With the match from 12 months ago fresh in the memory, Leeds will have belief that they can cause an upset and approach the tie with nothing to fear but a repeat of the 1-1 score from a year ago is hard to envisage with a comfortable home win expected. Robin Van Persie's tremendous year saw him equal Thierry Henry's goalscoring record over the course of a calender year and Vc bet are putting him as favorite to win the Premier League top scorer award. His 34th goal of the 2011 came from the penalty sport at Aston Villa on Wednesday night which set Arsenal on the way to a 2-1 win. He has drawn level with Henry's best year who went on of course to become Arsenal's all time leading goalscorer. That would mean RVP needs to bag a Hat Trick in the Boxing Day fixture with Wolves. With the rate he is playing at It wouldn't be a bad place for you to put one of your victor chandler free bets on this weekend. But for now he has been speaking of how happy he is to have matched Henry's tally. That return pulls him level with the best Henry managed during his time in England, with the Frenchman going on to become the Gunners' all-time leading scorer. He said: "It is a big honor to equal Thierry's record because he is probably the best player Arsenal ever had. "To achieve what he did in a year is really special. It makes me proud. "I think it has helped that I haven't missed a single Premier League game and featured for 90 minutes in most of them. "It is a big honour to equal Thierry's record because he is probably the best player Arsenal ever had." "When you have a good run, and you feel fresh and fit, you try things, you take more risks here and there than, for example, if you are just coming back from injury. "You always need a couple of games (to get fully sharp) when you're back from injury. "As a striker I think it is really important to have a go. If you look at my performances, I take more risks now because I know with the team behind me I will always get more chances. "It's not that I only get one chance normally, I always get one, two, three, sometimes four chances in a game. That sort of tells me that I can take a risk here and there. "After losing to Manchester City, it is always really important to bounce back after a defeat. Great teams do bounce back and that's what we had to do at Villa on Wednesday. "Now we have Wolves on Tuesday, then afterwards QPR both at home, so hopefully we can have a good run again." Hopefully RVP can stay fit and continue this sensational form for the entire season. Van Persie Needs a Helping Hand! Robin Van Persie has been simply sensational so far for the gunners this season and his goals and leadership has carried the club through it's most turbulent time over the last 20 years, as we can see with the victor chandler review and the stan james review. Since the 8-2 drubbing at Old Trafford, Wengers men now sit 5th in the table and are well in the hunt for that Champions League place, but what is of real concern is the feeling that aside form the goals of RVP, where else are the goals going to come from? The game at Manchester City on Sunday pointed this out to me more than ever before. I just couldn't see who else could get on the score sheet. I might be being over critical, but nobody looked threatening in front of goal, and we struggled to make many clear cut opportunities. At the moment, there is a positive atmosphere around the Emirates. That's because we have turned a corner and that we have our savior fully fit and scoring goals. But things could turn ugly again if we were to lose him. Van Persie has struggled to stay fit for an entire season since he has been at the club, and he might even have a couple of off days which is normal. I know RVP thrives on being the main man, but I hope Wenger can find a proven goalscorer in the January transfer window to ease his load. I know Wenger likes to look for those players with plenty of potential but right now we need someone with experience of the big stage and someone who can fit straight into the team. Other than this, we can only hope that the likes of Ramsay, Walcott and Gervinho can get on the score sheet to ease the pressure of RVP during the tough christmas period! 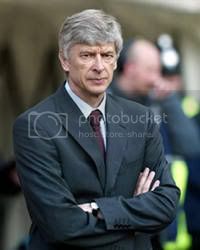 Arsenal manager Arsene Wenger has hinted that he may be forced into the transger market in January should the right players become available. Follwoing the protracted departures of Samir Nasri and Cesc Fabregas last summer Wenger had to rush his summer shopping, with deals for the likes of Andre Santos, Mikel Arteta and Per Mertesacker completed with hours , even minutes to spare in some cases. All that upheaval led to a unsettled start on the pitch, with that now infamous 8-2 defeat at Manchester United the nadir. They remain outsiders in the Premier league betting given the flying start by Manchester City, but such is their form and experience at the competing at the top of the table, they should not be discounted. In Robin van Persie they have a striker in the form of his life and is just three goals short of equalling Alan Shearer’s records of 36 goals in a calendar year. Van Persie is a safe choice is you want to bet on the top scorer. However, the Dutchman has struggled with injuries in recent years and such is the reliance on him at present (though Wenger won’t admit it) a further knock would seriously damage The Gunners’ chances. Therefore the London club may yet be tempted to do some January shopping, despite the winter window being a notoriously hard place to shop, especially for someone like Wenger, who is resistant to paying over-the-top transfer fees. "We lose players like Chamakh and Gervinho to the Africa Cup of Nations so hopefully, touch wood, we do not get any injuries to our strikers. But if an opportunity turns up in that department then we will buy,"
"Economically the whole environment has changed and people suffer more. The clubs will suffer more financially and it's much more difficult. Maybe we will have some opportunities because we are in a good financial situation." One of the signs of a great striker is the ability to be ruthlessly clinical and score a goal with their first or only opportunity of a game. Such ability allows a side to get points when they are not playing well, or when games are tight, and converting defeats into draws and draws into wins are the foundations by which trophy winning campaigns are built on. That is why Robin van Persie is so valuable to Arsenal and coveted by some of the game’s biggest clubs. The Dutchman has now scored 33 goals this calendar year, just three behind Alan Shearer’s record of 36. He is also unsurprisingly therefore one of the favourites in the premiership top scorer betting. His winner on Saturday against Everton will surely be near the top of the list if those goals were sorted in terms of technical brilliance. Up until the 70th minute Arsenal had struggled to break down a well organised and dogged Toffees side, who had even started to come out of their shell. volley that smashed into the far post and into the net. It was the type of skill another legendary Dutchman – Marco van Basten – became famous for and if van Persie continues the way he is he will certainly find himself placed alongside the legendary former AC Milan and Ajax striker in the Holland half of fame. The win send Arsenal back into the top four and if you bet on the Premier League the Gunners have suddenly emerged as an outsider after recovering from a horrific start to the season that culminated in that infamous 8-2 to Manchester United. It seems unlikely that van Persie will be able to keep up this form for the entire season so Arsene Wenger will hope his other strikers can provide some support. But all successful sides need a talisman and van Persie is fitting that bill perfectly at present. 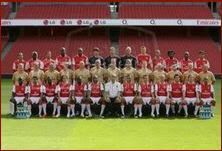 Arsenals Hard Work Has Paid Off In Champions League! While the rest of the Premier League big guns are facing immense games in the Champions League this week, Arsene Wenger and his Arsenal team will be kicking back and relaxing in their final group game against Olympiakos. Sportsbook guardian betting certainly didn't expect this at the start of the season! With Arsenal having qualified as the group winners already some gambling guardian offers are tipping them to go far in the competition! Wenger wont admit of course but he will be delighted with the situation and it will give him an opportunity to ring the changes and give some of his younger players some valuable experience. Wenger loves to expose his youngsters to the big occasions and he will have complete belief in them getting a result. The atmosphere at Olympiakos will be sensational, so what a learning curve it will be if he does play his young players. If they manage to handle that kind of situation, they will be well prepared to manage similar situations in the future! As good as this opportunity to play a young team will be, I think Wenger will be most pleased at the fact that he can rest some of his regular players and in particular Robin Van Persie! Full credit to Wenger for taking the Champions League seriously! The likes of United, City and Chelsea could be guilty of taking their eye off the ball! United in particular have played weaker teams in crucial games and they could pay the price for it! 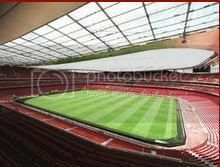 Now Wenger will reap the rewards which could really benefit his squads Premiership campaign! Arsene has already said it will be a catastrophe if Chelsea, Manchester City and Manchester United fail to qualify for the next phase and he's right! But at the same time it just goes to prove that the group stages of the Champions League isn't as easy as people think, and Arsene Wenger should be credited for once again taking his Arsenal team to the knock-out stages!